TIPS ON HOW TO GET OVER YOUR CRUSH! Crushes are kind of the best: that warm-and-fuzzy feeling…the hours spent fantasising about what you’ll name your kids one day. That is, until, you suddenly see your crush posting photos with someone else on Instagram. All of a sudden, crushes are the freaking worst. Moving on from a crush seems like it should be easy, right? You weren’t even in a real relationship! But yeah, you and I both know it’s not like that at all—especially if you’ve been crushing hard for a while. You know you’ll get over this. Remember how much you lusted over your middle school chemistry partner… whose name you totally can’t remember now? But bottling up your feelings is going to do you jack in the emotional department. “Feeling what you feel, without judgment is the only way to get to the other side,” says licensed marriage and family therapist Lesli Doares, author of blueprint for a lasting marriage. While you don’t want to agonise over this crush forever, it’s important to “give yourself the time and space to fully experience painful emotions,” says clinical psychologist Suzana E. Flores, author of facehooked: how facebook affects our emotions, relationships, and lives. “Doing so can help you to properly examine your emotions in order to release them,” she says. Sometimes you’ve just got to talk it out with someone you trust. So, make a date with a friend, open a bottle of wine, and let loose. “It really does help you get out to the pain,” says Dr. Barton Goldsmith, author of the happy couple. Often by talking about everything, you can get more clarity on the situation and hopefully be able to move on faster, he says. Spending time doing things you enjoy isn’t just a distraction—it’s reminding you that there are still things you enjoy that don’t involve your crush. “It’s not easy to stop the brain, so distraction is a fine way to get through this,” says Dr. Brandy Engler, a licensed clinical psychologist specialising in relationships. The alternative is sitting around and obsessing, which is seriously unhelpful. “Obsessing or ruminating are just ways to get stuck in your head,” Doares says. So, spend time doing things you enjoy. Go all out at yoga class, hit up happy hour with your friends, or plan a girls weekend away. “Spending time doing things you enjoy isn’t just a distraction—it’s reminding you that there are still things you enjoy that don’t involve your crush,” Doares says. Hide your crush’s posts from your newsfeed to give yourself time to heal. Seriously, this is important. Not only does continuing to follow or “check in” (you know what I mean) on your crush’s social media accounts put them right there in front of your face, you’re also seeing an airbrushed version of their life, abs, etc.—which isn’t reality. “You’re not seeing the full picture,” Doares says. Plus, “following a crush on social media can keep you from moving on since constant exposure to their posts gives the illusion that they are still a part of your life when they are not,” she says. If straight-up unfollowing them would raise suspicions, hide your crush’s posts from your newsfeed to give yourself time to heal. Your ability to pull this one off depends on when you tend to see your crush. If you work together, it’s going to be tough; if they’re a friend that you wish was something more, you can dodge their invitations to hang for a while. “Every time you see that person, it’s going to cause an emotional zinger,” Goldsmith says. Also, keeping them be out of sight for a bit allows you to experience other things—and people—in your life while you’re trying to move forward. Whatever it is, writing things down on paper can make you feel better. 6. Repeat this to yourself: you’re not the first one who has gone through thisWhen you’re going through a heartache, it can feel like you’re the only person, ever, who knows what this feels like. But the reality is that most people have experienced this on some level—and reminding yourself of that fact can make you feel less alone in the whole thing. “Knowing you’re not alone in having an unrequited crush can make it easier,” Doares says. Sometimes your friends aren’t available to chat about this, or maybe you just don’t feel comfortable verbalising your feelings for your crush. Whatever it is, writing things down on paper can make you feel better, Goldsmith says. “It’s a great exercise,” he says. You can even rip out the pages and trash or burn them after the fact for added effect. Here’s the thing: crushes are usually based on a fantasy, not fact. Here’s the thing: crushes are usually based on a fantasy, not fact. Sure, your crush seems perfect, but nobody is. In reality, they have annoying habits just like everyone else. “They’re not perfect,” Goldsmith says. Reminding yourself of that can help you take the fantasy part out of the whole situation. It could be that you’re constantly picking people that are unavailable because you love the chase or you’re nervous about being in a real, reciprocal relationship. 9. Dive into a new hobby“New is always good,” Doares says. 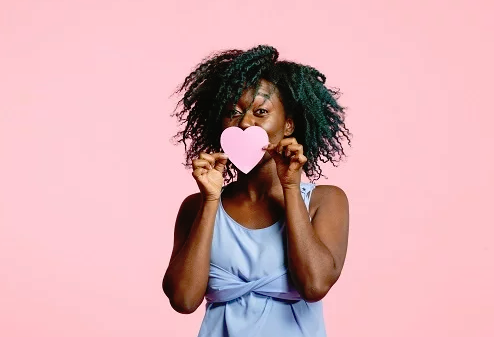 A new hobby can help connect you with people who aren’t familiar with your crush—and that can help you move on, she says. Plus, you can get so wrapped up in learning or doing something new that you won’t have time for thoughts of your crush. If you’re constantly wrapped up in the drama of a crush-gone-wrong, that’s not good. “A crush, as opposed to a relationship, is based somewhat in fantasy or unrequited feelings,” Doares says. Whatever it is, figuring out what’s driving this—and fixing the underlying issue—can save you a lot of hurt in the future. Yeah, you’re probably not ready for anything legit in the romantic department at this point. But going on dates is a good distraction and ups the odds that you’ll meet someone who is into you the way you deserve. Goldsmith recommends looking at these as “practice” dates since you’re likely not emotionally available right now. And, if you happen to meet someone new, exciting, and into you, it’s just an added bonus. Sure, this wasn’t a full-on romantic relationship, but you still had feelings for your crush and they don’t just dry up overnight. That’s why Engler recommends giving yourself some closure around the whole thing. Whatever is it, “creating meaning and a narrative about the relationship and its ending helps people get closure,” Engler says. But in general, you’ve got to cut yourself some slack. “It can take a little time to get over this kind of thing. If you try everything on this list and still feel stuck, and it’s impacting your work and everyday life, it may be time to consider talking to a therapist, Doares says. Ditto if you have to see your crush all the time and you just can’t let your feelings go. But in general, you’ve got to cut yourself some slack. “It can take a little time to get over this kind of thing,” Goldsmith says.